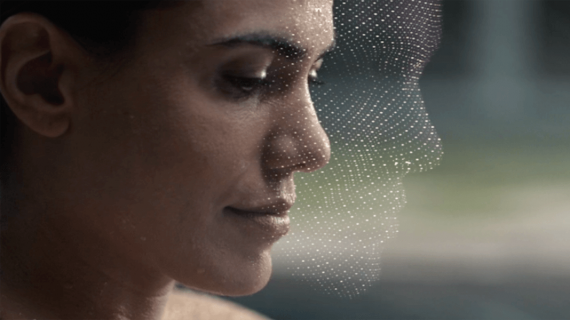 as human annotations inherently have limits on precision and consistency. 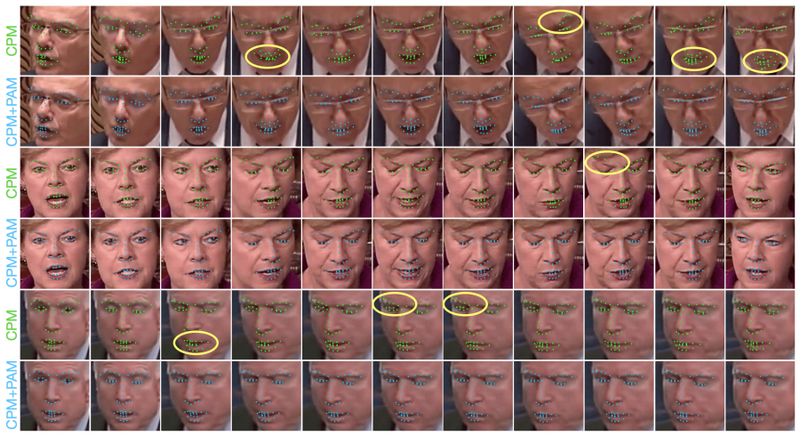 Other methods that focus on video facial landmark detection utilize both detections and tracking to combat jittering and increase precision, but these methods require per-frame annotations in a video. registration, i.e., optical flow, is a source of supervision. 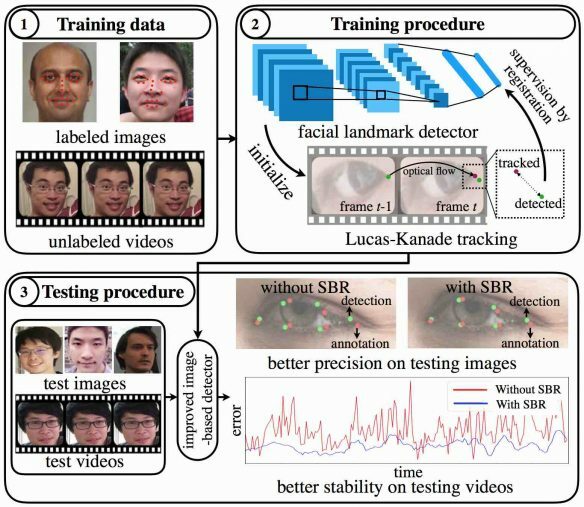 SBR can enhance the precision of a generic facial landmark detector on both images and video in an unsupervised fashion. Since the supervisory signal of SBR does not come from annotations, SBR can utilize a very large amount of unlabeled video to enhance the detector. SBR can be trained end-to-end with the widely used gradient back-propagation method. 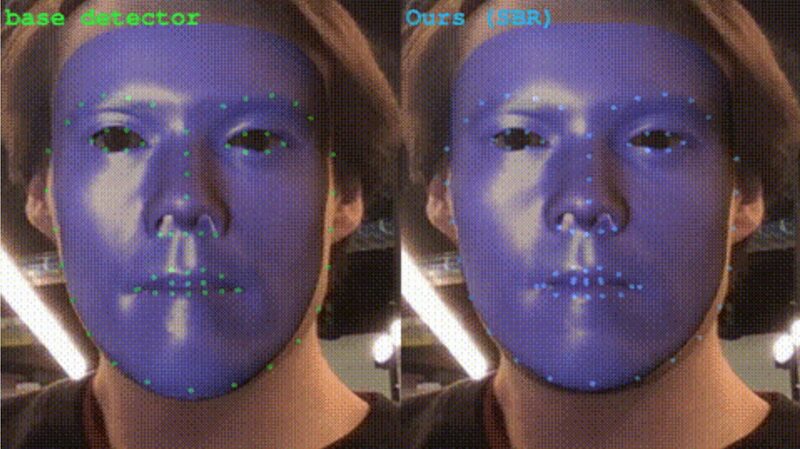 SBR consists of two complementary parts, the general facial landmark detector, and the LK tracking operation. The training procedure of supervision-by-registration with two complementary losses. 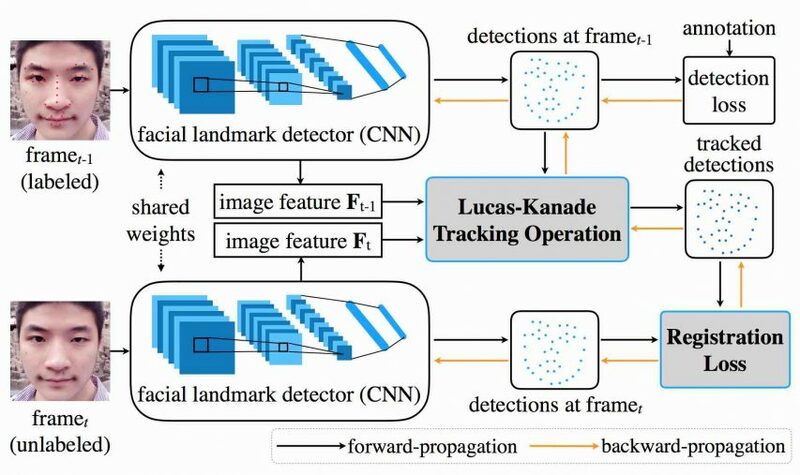 The detection loss utilizes appearance from a single image and label information to learn a better landmark detector. Many facial landmark detectors take an image I as input and regress to the coordinates of the facial landmarks, i.e., D(I) = L. L² loss is used on the co-ordinated L with ground-truth labels L*. The first detector is CPM, which utilizes the ImageNet pre-trained models as the feature extraction part. The first four convolutional layers of VGG-16 is used for feature extraction and use only three CPM stages for heatmap prediction. 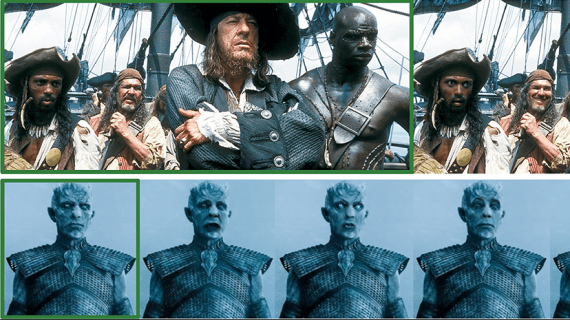 The faces are cropped and resized into 256×256 for pre-processing. We train the CPM with a batch size of 8 for 40 epochs in total. The learning rate starts at 0.00005 and is reduced by 0.5 at 20th and 30th epochs. Good news! Now you may swap face with celebrity in a second with our brand new app SWAPP! The second detector is a simple regression network, denoted as Reg. VGG-16 is used as the base model and change the output neurons of the last fully-connected layer to K×2, where K is the number of landmarks. 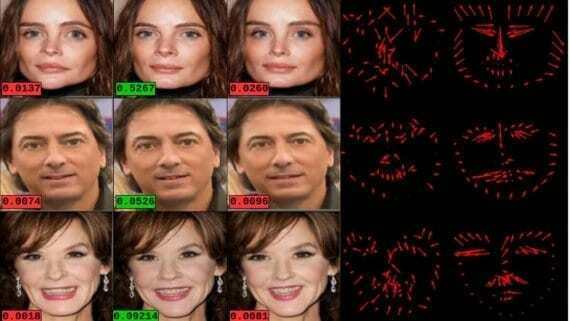 Input images have been cropped to 224×224 for this regression network. 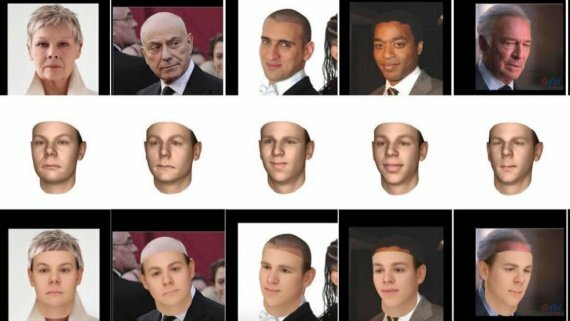 The datasets used to compute the 300-W, AFLW, youtube-face, 300-VW and YouTube Celebrities. 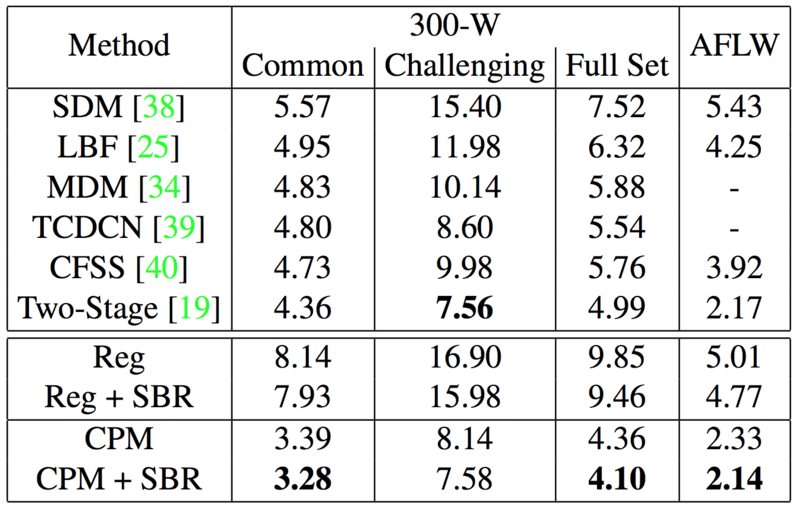 The result of SBR is shown in fig:2 is performed on both the Reg (regression-based) and CPM (heatmap-based) on AFLW and 300-W. Normalized Mean Error (NME) is used to evaluate the performance of images. Back-propagating through the LK layer enables more accurate gradient updates than self-training. Also, experiments on synthetic data show that annotation errors in the evaluation set may make a well-performing model seem like it is performing poorly, so one should be careful of annotation imprecision when interpreting quantitative results.